Mukteshwar is one of the most spectacular travel spots in Uttarakhand and is popular as a major hill station in the Nainital District. Sitting at an altitude of 2286 meters, Mukteshwar is located in the Kumaon hills and is around 51 kilometers away from Nainital. Even though Mukteshwar is a popular travel destination in north India, it is also a favorite religious pilgrimage destination and this is quite evident by the presence of the Shiva Temple or Mukteshwar Dham which is one of the major attractions of this place. This place even got its name derived from this famous temple. The Mukteshwar Dham is situated on the top of the mountain and from the mountain top you will be able to view an amazing sight of the Himalayan Range whose beauty cannot be explained in words. The amazing view of the Himalayan Ranges from the Mukteshwar hills is one of the major attraction for travellers and those interested in photography, there will not be any other better places than this. The fresh air which is unpolluted and the cool climate that prevails at Mukteshwar attract a lot of travelers to this spiritual place on a regular basis. 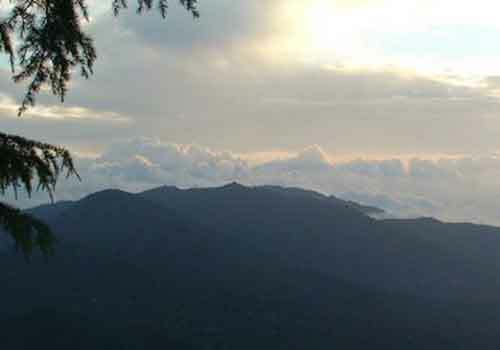 I you look around from the top of Mukteshwar, you will be able to view some of the major peaks such as Nanda Devi, Nanda Kot, Nandaghunti, Panchachuli and Trishul. In the opposite side of the Mukteshwar hills, you can see another fascinating view of the dense forest. For those who wish to make a calm and serene family vacation trip in Uttarakhand, then Mukteshwar will be the best option as it has everything such as serenity, calmness, fresh air, natural beauty and a great climatic conditions to make it a perfect vacation destination. Mukteshwar is still an unexplored tourism destination when we compare it with the other major travel destinations across north India. Sightseeing is one of the best things to do at Mukteshwar and the sight of the Himalayan ranges seen from Muteshwar is quite enough to add splendor to your travel trip. 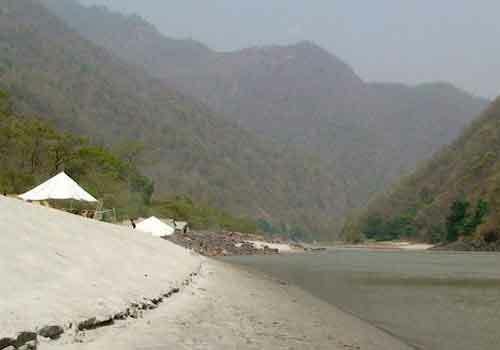 There are also some wild animals and birds which can be spotted regularly at various places in and around Mukteshwar. If you are interested in adventure activities then you can try your hand at rock climbing and rappelling. In case you need to calm your mind and body and enhance if further, then you can try yoga and meditation at Mukteshwar. Even though there are only a handful of accommodation facilities in Mukteshwar, you can easily avail accommodation at some of the major resorts and lodges such as PWD Circuit House, Kumaon Mandal Vikas Nigam tourist hotel, Shreehari Resort, Sargakhet, Oak Chalet and Peora. All the accommodation facilities at Mukteshwar can provide you with some of the best accommodation facilities and amenities. You can reach Mukteshwar by road and the nearest railway station is around 2 hours drive away from Mukteshwar and is located in a place named Kathgodam. If you are interested in visiting Mukteshwar, then you can seek help from any of the best travel agents that can assist in making your trip a memorable one. This entry was posted in South India and tagged mukteshwar hills, Mukteshwar temple travel, Mukteshwar travel, Mukteshwar travel nainital. Bookmark the permalink.